Follow us on Facebook for latest offers and special seasonal deals on our products. Become a friend on our Facebook page and receive special discounts!! To find out more click on the button below. Handson's Butchers of Mareham-Le-Fen are an 'Award Winning family run Butchers' offering quality meat and poultry products, all of which are sourced locally from Lincolnshire. Now in their 4th Generation, we provide a full professional butchery service, catering also for Weddings, Birthdays, Harvest Suppers and any other catering occasion. We offer a wide range of meat and poultry products from our shop based in Mareham-Le-Fen (located between the historic market towns of Boston and Horncastle). 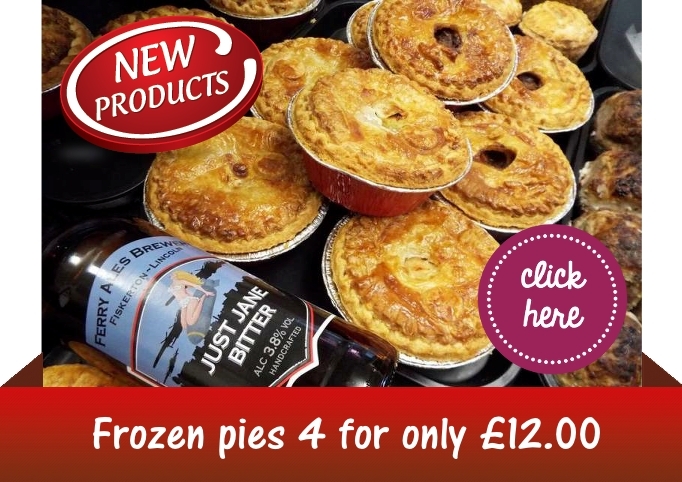 We can offer you a wonderful choice of fresh meats and poultry, as well as cooked meats, pies, sausages and other delicious produce. We also offer free local delivery too (up to 20 miles). Click on the button below for more details. © 2019 Handsons Butchers of Mareham-Le-Fen. Content management system from Farmgear.co.uk.